can recharge itself from its own byproduct. The U.S. Military has been looking for green technologies that can be used to power microgrids such as small and mobile forward bases in any area of the world as well as look at possible civilian and commercial applications of such breakthroughs in microgrid power plant technology. Boeing, the industrial manufacturer of passenger airlines and defense contractor of military hardware has developed a new self-regenerating fuel cell engine that will be hooked up to existing Navy microgrid power plant technologies to either supplement or replace their use. Electricity generated by water and hydrogen as fuel source is created by so-called fuel cells. microgrid bases and forward bases. 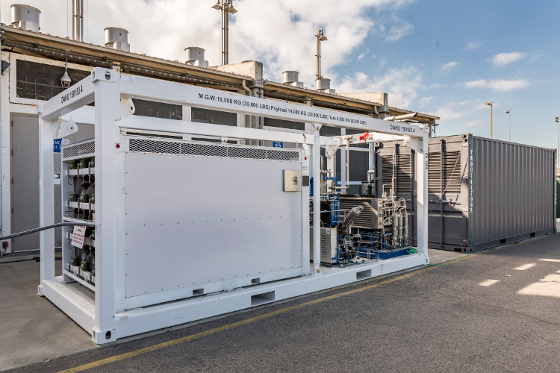 Boeing has made a breakthrough by delivering a new type of fuel cell that cen self-regenerate: it can both store and produce power and has delivered the prototype to the U.S. Navy for field testing. The U.S. military defense contractor calls its new generation battery: a "reversible solid oxide fuel cell," and hopes that military field testing will allow the company to create working spin-offs for civilian and commercial grade products. Already in development for sixteen months, Boeing's self-regenerating fuel cell uses a built-in, catalytic electrolysis function to break down water and other chemicals to generate hydrogen gas which is then compressed as deuterium (heavier hydrogen) and stored for use. 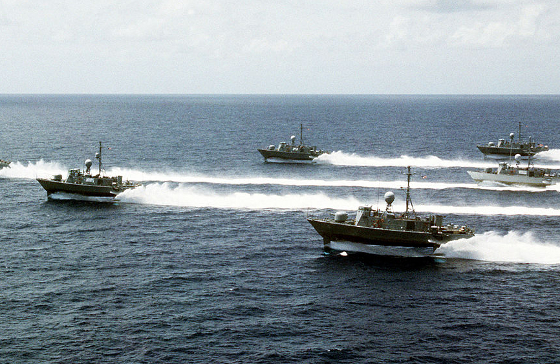 Hydrofoil craft for the Navy. The U.S. armed forces itself is now upgrading most of its power generating systems to use advanced electric technology—the newest aircraft carrier they have deployed does away with all the steam powered catapults and elevator systems--upgraded World War 2 era technology--and replacing them with smart and shielded, electricity powered modern systems. The U.S. Navy has also deployed electromagnetic rail guns on it ships for field testing which require plenty of electricity to fire its kinetic bullets. A new fuel cell technology will help the US military become a greener fighting force—which is part of its modernization mandate. How Does a Fuel Cell Engine Work? According to the U.S. Secretary of Defense, up to 40 bases in friendly territories have operating microgrids, are planning to use the technology, or have research on working microgrid technologies. The U.S. also has 600 forward bases all over the world and is investigating the deployment of mobile microgrids in Afghanistan. The Boeing fuel cell technology should provide both military and possibly civilian and commercial energy storage and power generation applications that may eventually replace fossil fuel power plants. 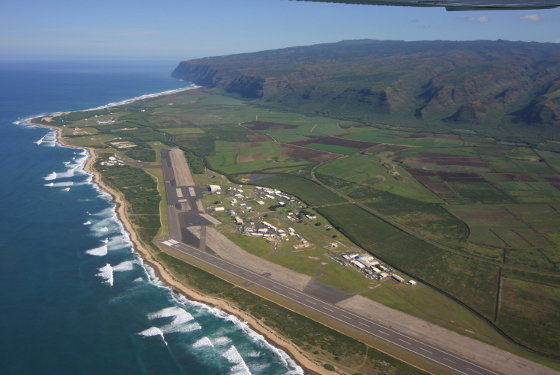 where microgrid power technology is tested by the U.S. Imagine setting up relief shelters and supply waypoints fast and easy in disaster zones just using they kind of technology that can be spun off Boeing's regenerating fuel cell power plant. If microgrid power technology baed on fuel cells ever become as reliable and as powerful as being connected to the main power grid, you can expect entire communities adopting the technology as both back-up and as a viable off-grid choice in the near future.